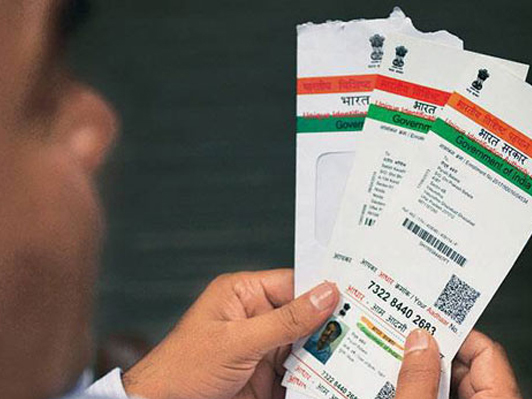 New Delhi, Nov 8:The insurance sector regulator IRDA on Wednesday said that linkage of the Aadhaar number to insurance policies is mandatory. According to the Insurance Regulatory and Development Authority of India (IRDA), the linkage is mandated under the "Prevention of Money-laundering (Maintenance of Records) Second Amendment Rules, 2017". "These rules have statutory force and, as such, life and general insurers (including standalone health insurers) have to implement them without awaiting further instructions," IRDA said in a statement. The central government notified the Prevention of Money-laundering (Maintenance of Records) Second Amendment Rules, 2017 on June 1, 2017, making Aaadhar and PAN mandatory for availing financial services including insurance and also for linking the existing policies with the same.